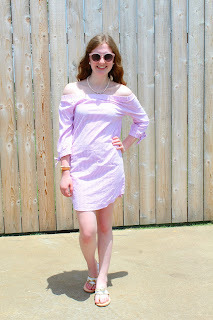 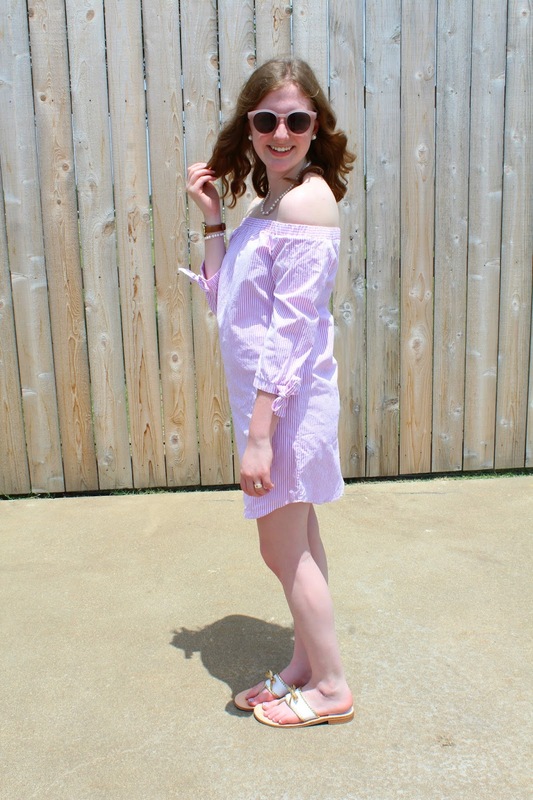 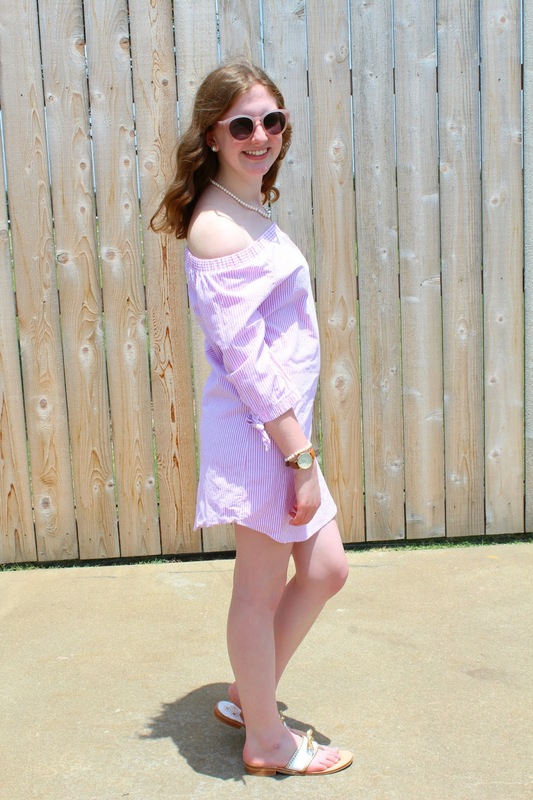 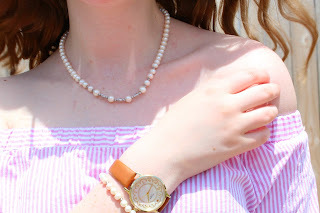 I found this pink and white striped off the shoulder dress at TJ Maxx and fell in love. 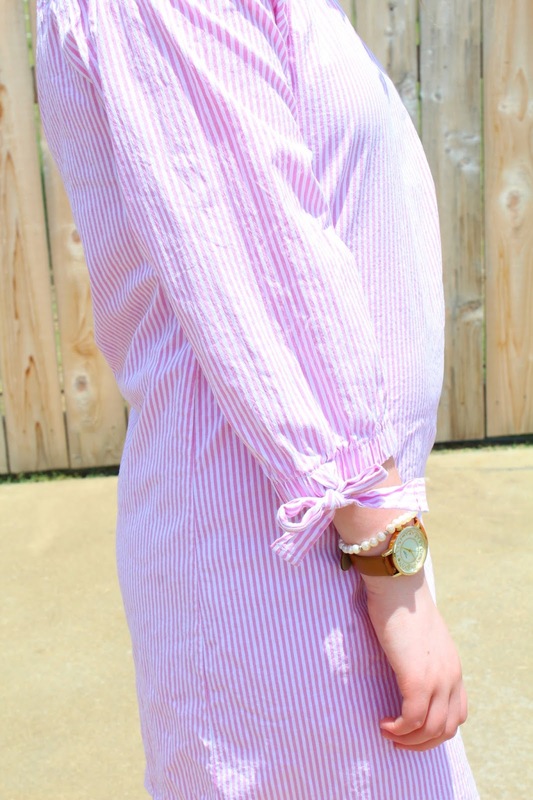 It reminded me of something you would see at Lauren James (but not the same quality) and it was only $16! 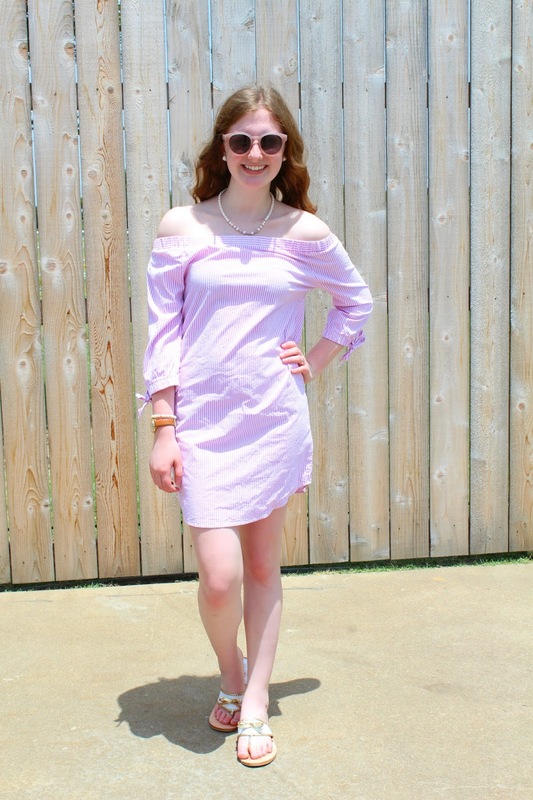 This gorgeous off the shoulder dress has bows at the bottom of the bishop sleeves. 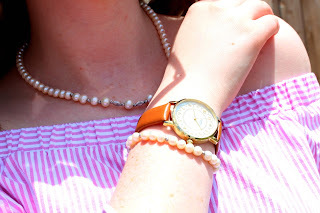 I paired the dress with pearls, my Kate Spade watch, and my Jack Rogers.